Chance discoveries in the realm of archaeology always hold special value by virtue of the sheer luck factor and the coincidence. 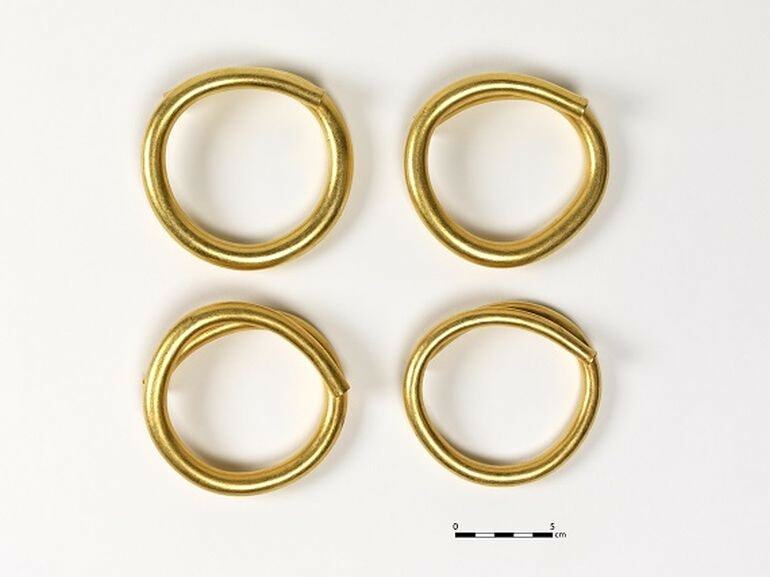 This time around, in yet another tale of fortuitous discovery, a farmer in Ireland came across four solid gold bracelets that date from as far back as the Bronze Age. To that end, a certain Mr. Norman Witherow was digging a drain in proximity to County Donegal on June 23rd. His mechanical digger unexpectedly revealed four buried objects at a depth of 2 ft beneath the ground. By a sliver of luck, these bracelets were hidden under a rock which shielded them from any potential damage from the digger. Witherow, while being enticed by their shape and size, still had no idea about the historicity of the objects. 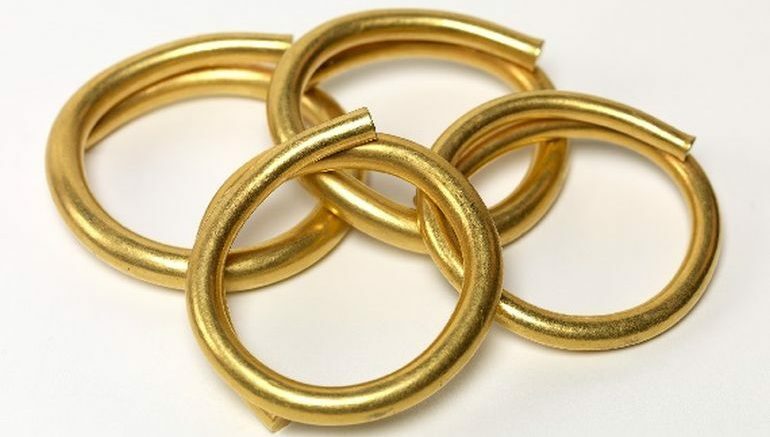 After rinsing them, he could discern the unmistakable yellow hue of the bracelets, though he was still not sure about the metal – whether it was gold or copper. But what he could ascertain was the intricate craftsmanship and bearing of the artifacts, with their smooth surface and looped, terminal ends. He even went on to measure the total weight that came at around 1.7 ounces (approx 48 g). 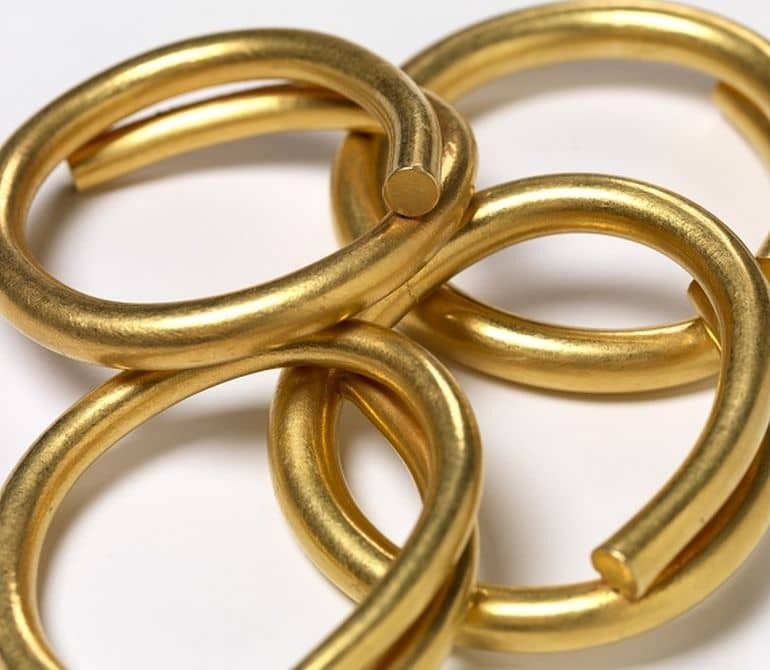 And it was only after his jeweler friend suggested the peculiarity of the bracelets (that didn’t match with modern design templates) that Witherow contacted the Donegal County Museum. He conscientiously reported his find, and after a few developments, it was eventually the researchers at the National Museum of Ireland who took interest in the matter. The consequent project is now being headed by Maeve Sikora, the museum’s Keeper of Irish Antiquities, who not only took official possession of the objects but is also involved in the direct surveying of the site. This find brings our ancient history and heritage alive: The details of the find, the prevailing weather, the examination of the artifacts and other detail will all place this find into a context that’s of interest to people of all generations. For the Museum, our big challenge now is to complete the examination of the hoard and make it available for public enjoyment as soon as possible. 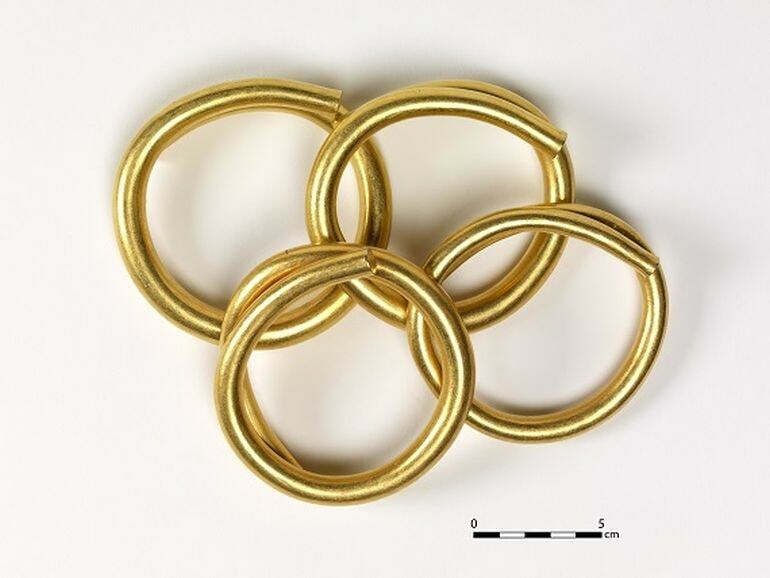 This treasure belongs to the public: sharing it, and its accompanying story, is the duty of the National Museum of Ireland. We look forward to collaborating with Donegal County Council and County Museum in ensuring maximum public engagement with the treasure.